Shipments have just commenced for the new ViewSonic PS750W ultra-short throw interactive classroom projector at street prices under $1500. 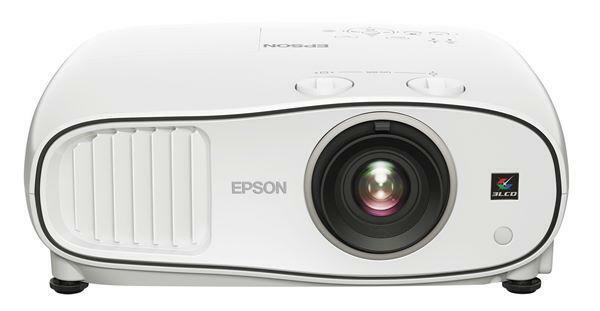 This 3,300 lumen, 1280x800 (WXGA) projector delivers image sizes up to 120" with a very short throw ratio just 0.23. MHL-compatible HDMI input, along with interactive pens, a built-in camera, a wall mount, robust dual 10W speakers and a three-year warranty are all included in the price, which is low for this feature set. The Viewsonic PS750W, at prices under $1500, represents an excellent value proposition for AV buyers of classroom technology, for it is unusual to find this combination of features at this price. The essential value of interactive ultra-short throw projection is obvious, and this projector will go up to 120" diagonal, larger than many UST projectors. The PS750W enables either finger touch or IR interactive pen, with 10-point simultaneous interactivity. New laser curtain technology with up to 180-degree detection can scan a wider touch area and can be easily adjust via a visible beam. With the laser curtain, teacher can turn their wall into an interactive canvas for their students. The PS750W comes with software tools like Viewsonic's proprietary vBoard annotation app and optional applications like Qwizdom Oktopus, engaging students to annotate, edit, and highlight. Buyers looking for interactive features will want to check out the full functionality of these interactive annotation tools. 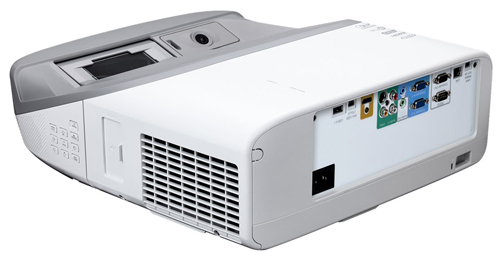 The PS750W offers an MHL-compatible HDMI input that accommodates a variety of mobile devices, increasing the versatility of the projector. Built-in dual 10-watt speakers provide plenty of sound for a moderate sized room, and there is an audio output if external speakers are needed. Viewsonic's three year warranty is longer than many of its competitors, and it includes free Express Exchange for the first year of operation.